André Delafontaine is a C-level executive with 20 years experience in entrepreneurship, strategy, people, product and project management. 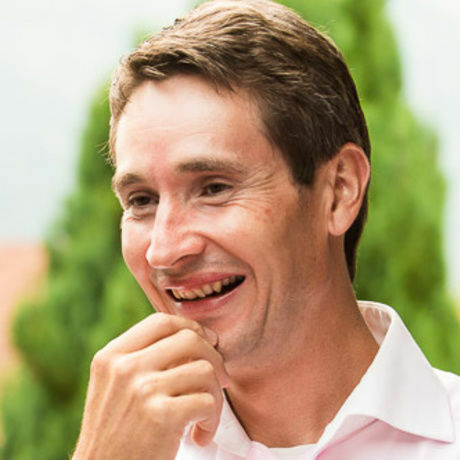 He is an associate professor at the Business School Lausanne and the founder of excelerate partners, a network of recognized executive practitioners with a passion for applied learning and sharing. He was previously co-founder and investor at Go Beyond Investing. André Delafontaine makes an impact when in a Volatile, Uncertain, Complex and Ambiguous world you are willing to bet that the status quo just won’t suffice. He likes to excelerate innovation via applied intrapreneurship & entrepreneurship programs for corporates, investors, entrepreneurs and academic institutions. According to him, knowing is good, and knowing oneself with our areas of light and darkness is even better. In this interactive talk, André Delafontaine will share his journey towards self-knowledge and how it transformed not only the way he perceives the world around him but also the way he co-creates his future and that of other individuals, startup’ and corporates. Driven by innovation and social commitment, Codalis assists Swiss businesses in the adoption of the most performant IT, cloud and mobility solutions on the market.